Do you ever use Yelp.com? It’s a well known user-review site where people who visit businesses leave their impressions. If you really liked that burger at Burger Trench, visit Yelp and let the Internet in on how delicious your lunch was. It sounds pretty straightforward, but some disgruntled business owners are alleging that the entire thing is basically, a gigantic extortion scam. 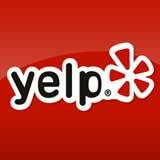 The supposed racket works like this: Yelp contacts a business owner to inform him/her that their place has negative reviews on the site and for a price or in exchange for buying an ad, the bad reviews can be moved down the page until they cannot be seen. Think of it like an old-school mafia protection scam update for the late aughts — no one is going to bust in your plate glass window with a bat. But if you target a tech-savvy crowd and your reviews are negative, you could go out of business quickly. Some even think Yelp writes and posts the negative reviews themselves, so they can call business and get them to pay to remove them. Yelp denies these allegation. It says it does not use negative reviews as leads for its sales staff. “Leads are determined purely by the reputation of that business…Any sort of timing beyond that would be coincidental,” a Yelp spokesperson told The East Bay Express. I rarely pay attention to “amateur” reviews on the Internet, only because I believe negative experiences are much more likely to be reported than positive ones. What about you, do you trust your Internet peers’ opinions?